(PRLEAP.COM) Seattle, WA — Brands via their local retailers are moving weekly promotions and coupons online, replacing or supplementing print offers to reduce cost and take advantage of the increasing number of mobile and online shoppers. 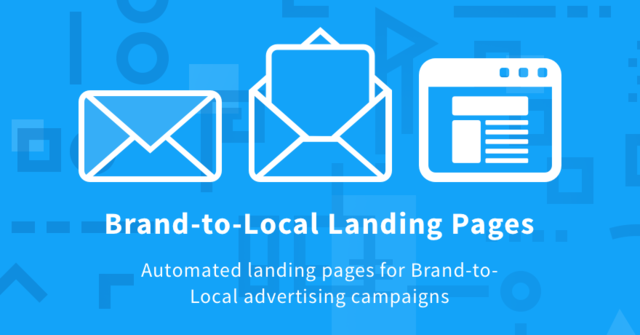 In order to drive additional traffic to their core websites, retailers are experimenting with promotional local landing pages to deliver offers. Using promotional landing pages, brands are capturing more in-depth information about their local consumers, determining what promotional messages are most effective and gathering key demographic and redemption information to further segment their audiences for future promotions. According to Inmar, while digital coupons and offers only represent approximately 12 percent of all coupons redeemed, they regularly convert at higher levels between 5 and 20 percent compared to .4 percent for print coupons. In fact, eMarketer reports, "52 percent of adults used a digital coupon in 2017." Using online targeting and corresponding loyalty program information, retailers are able to better deliver the right message to the right audience at the right time. So where are consumers actively looking for offers and promotions? A recent Neilson study shows, "50 percent of digital coupons and offers are found on brand sites and apps." With significant investments in core websites and location pages, brands and their local retailers are more determined to drive additional traffic to engage customers and increase revenue. The mobile phone has had a significant impact on the way people shop. Whether shopping online or in a store, shoppers are using their phones to look up competitive pricing, search for coupons or offers or seek additional information like reviews or more in-depth product features before making a purchase. A Nielson report finds that "60% of shoppers use their smartphone to find a product first." Using websites and promotional landing pages, specific to promotions, allows brands to influence shoppers who may not have any particular product in mind. Mobile shoppers, in particular, can be influenced prior to shopping when they have the ability to send promotional codes or coupons to their phones. Neilson also found that "59 percent of pre-shopping activity was focused on finding sales and coupons." Using printed ads and email marketing containing specialized mobile-friendly promotional landing pages allows marketers to further increase the success of their campaigns. Promotional landing pages are a "creative canvas" allowing brands to inform consumers about the unique benefit the product(s) fulfills. Great page design and visually appealing photos and video conveys the brand benefit in an engaging way while offering incentives to purchase such as a coupon, promotional code, product detail or signing up for future offers and incentives. The key to successfully using promotional landing pages is the ease of designing and publishing promotional landing pages to a single site or multiple local sites. Several leading martech companies have published statistics - that brands with 40 or more local or regional landing pages receive 12 times more leads.